Stonewalk produces quartz sand in 26 different colours. It is available in six volume grades, and should you require a seventh grade, we can always make it for you. We also offer a wide range of natural stone. 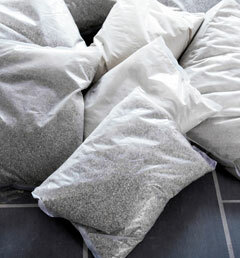 We supply different aggregates for floor finishing. For a complete overview, please see our catalogue, where you can also mix exactly the colours you like. Try the stone mixer. Quartz sand is a natural product. 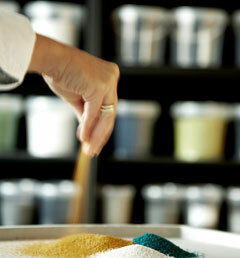 Quartz sand’s natural play of colours gives it a livelier and more interesting surface. Once you have found the right colour or colour mix, the next step is to order a sample to actually see the stones. If you have any questions, you are always welcome to call us or send us an email.